Included in the $67,550,865 budget is approximately $8 million earmarked for road improvements for the coming year – more than double the amount allocated for roadwork in 2015. 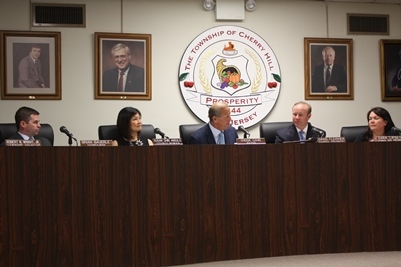 Other highlights include funding for new traffic calming measures, as well as several recreation projects, such as the installation of new multi-use athletic fields at Cherry Hill High Schools East and West, upgrades to local parks, playgrounds and sport courts, and continued preservation of the historic Barclay Farmstead and Croft Farm. In his address to Council, Cahn cited a number of factors that have contributed to the town’s financial stability, including increased efficiencies, low interest rates that have helped to reduce annual debt-service costs, and ongoing efforts to promote economic growth and reinvestment.